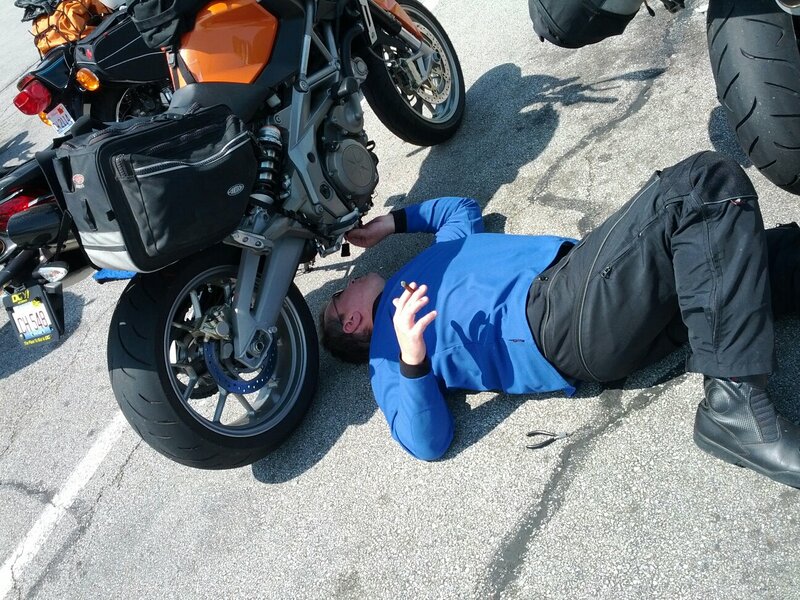 Home Motorcycle Stories Who Is “That Guy”? Maintenance (or lack thereof) recently performed. Issues whose likelihood have been previously pointed out by fellow riders. In our crowd, only one person can hold the “That Guy” title at any given time. That person will retain said title until someone else has a “That Guy” experience. If nobody else has a “That Guy” experience on a given trip or ride, the existing title holder will retain said title until the next ride when someone else experiences a “That Guy” moment, thereby relieving said title to said person until the next malfunction occurs. This brief explanation is a foreword which will lead into personal stories of “That Guy” malfunctions. Only the person who was guilty of the malfunction may post their story. Posting stories about other people’s experiences is NOT allowed. You must be able to laugh at yourself to participate and this is all in fun. Tip: It’s especially meaningful to present photographic evidence of the malfunction and aftermath.